As announced early last week, Porter Airlines and RTO12 will be introducing summer seasonal service into the Muskoka Airport (YQA) for the summer of 2019! To compliment this service, the popular “Fuel & Fun Package” has been re-developed to incentivize domestic and international travelers to book a flight on the new Porter Airlines service to Muskoka during the 2019 flying season from June 27 to September 3, running Mondays and Thursdays (except on long holiday weekends, when the service will run Tuesday instead of Monday). The strategic focus of the image bank development is to communicate experiences with the consumer with visual and audio cues (photography and videography). Travel packages offer value-added, time-limited, bundled trip components, making it easy for consumers to plan and book a trip. For example, a weekend getaway could include performance tickets, accommodations, guide services, or a restaurant voucher. 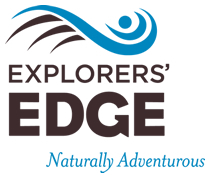 Explorers’ Edge has developed a new international marketing initiative to attract Americans from four major urban centres and to also build a database of leads to target should commercial air service into the Muskoka Airport (YQA) become a reality in the next year, said Executive Director James Murphy today. For two years the provincially-funded agency has led the charge to introduce commercial air service into Muskoka, including building the business case for such a service, conducting outreach with the airline industry, and coordinating logistical requirements with municipal, provincial and federal stakeholders, including Transport Canada. RTO12 is pleased to have partnered with the District of Muskoka for much of this work, added Murphy.